A custom trophy made from LEGO® elements. 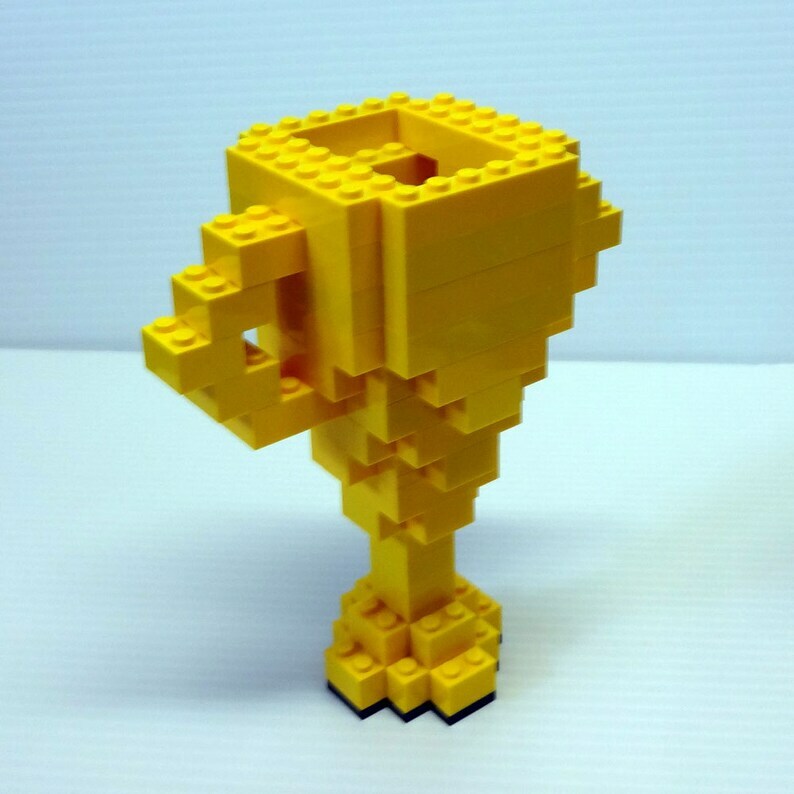 This cool trophy is the perfect prize to give your winner. Can be customized with name, phrase or prize number for an additional fee. Colors can be changed to reflect school colors or different team affiliations. Different size trophies are also available upon request.